If you had a huge easel that would preserve your art for millennia like the ancient Nazca had, what would you draw? Blurry Photos might draw conclusions, according to this episode of the podcast. The Davids take a look at Peru and the mysterious lines that criss and cross the desert plateau and delve into explanations on what they could mean. 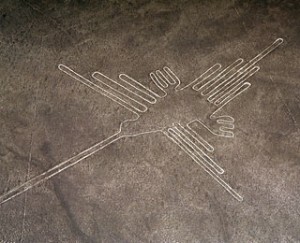 Withstanding the march of time with a unique cocktail of environmental circumstances, the Nazca Lines are one of the most interesting and as-yet unsolved mysteries in the modern world. Could it be art? Religious symbolism? Alien landing strips? See what you think after this episode!